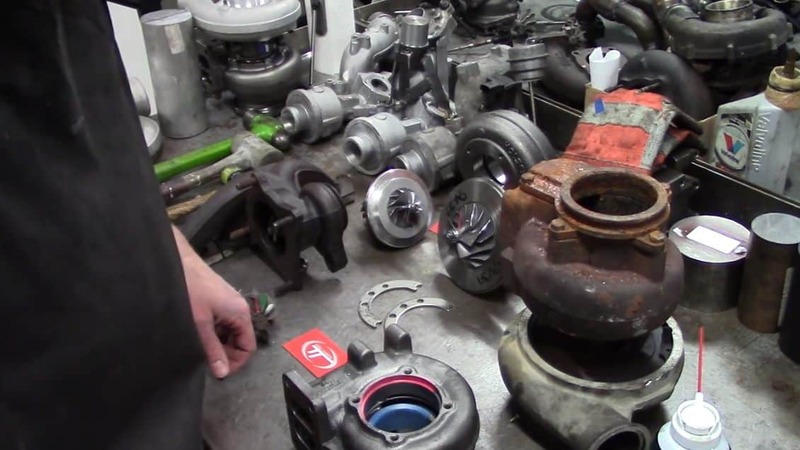 Turbo rebuild shops like Tim’s Turbos should have a turbo balancing machine. 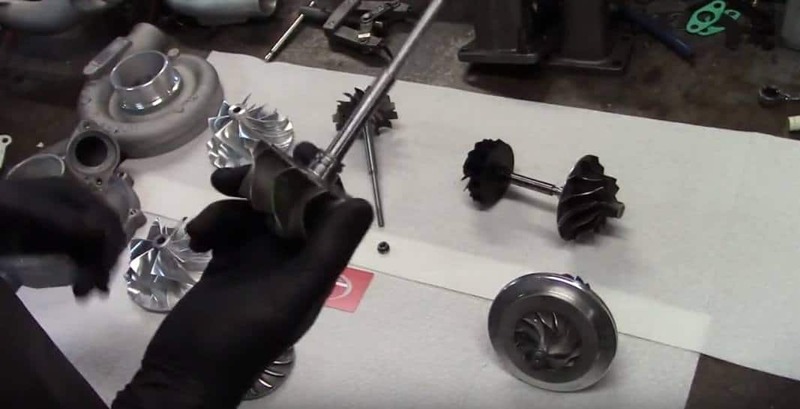 In this video, we describe different types of balancers such as single plane, dual plane and VSR, turbo balancing techniques, and what it looks like when a turbo component is properly balanced. 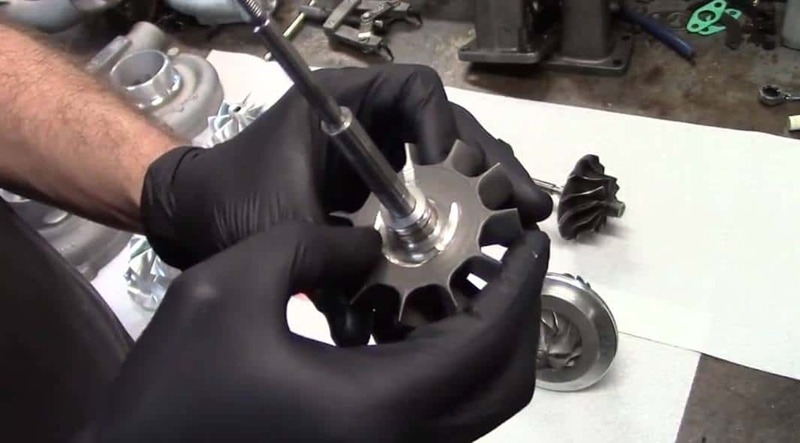 You can send us your turbine wheel and shaft assembly, or full cartridge assembly, if you need to have these components balanced for your turbo rebuild project. Hey everyone. 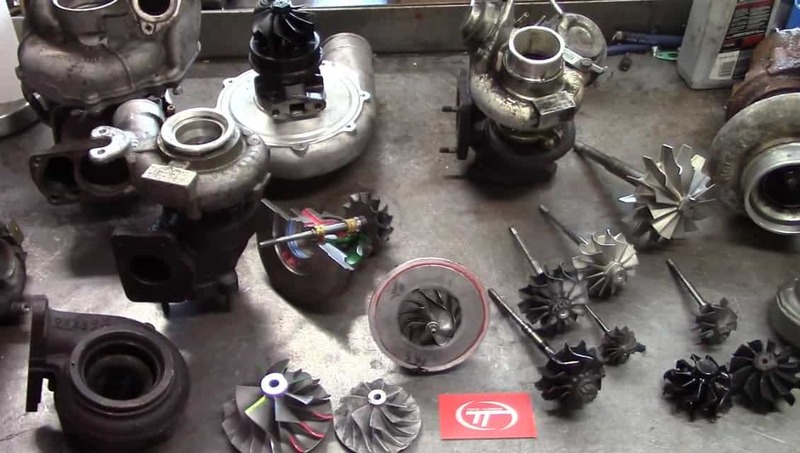 Thanks for tuning into Tim’s Turbos. I wanted to go over a few things on balancing, what it looks like, and a couple of different machines. First off, there are a few different types of balancers. You got single-plane balancers, dual-plane balancers, and VSR machines, most of which a lot of shops are going to have. If they don’t have them, you should definitely look and investigate what they do have. Pretty much every turbo shop should have a component balancer. 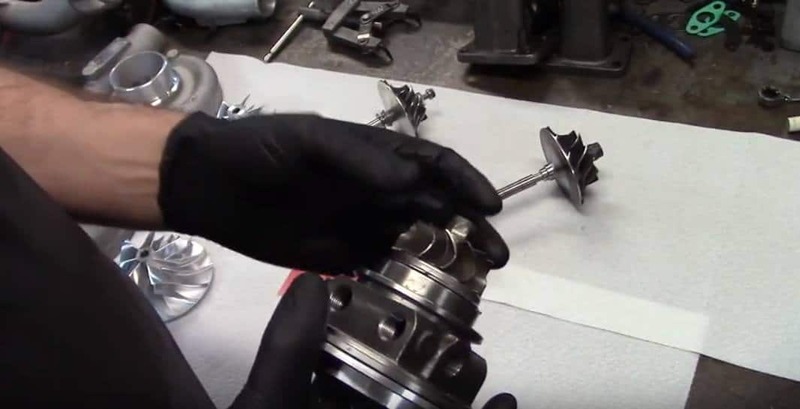 A component balancer is something that’s going to do each individual component of the turbocharger that is a rotating assembly. 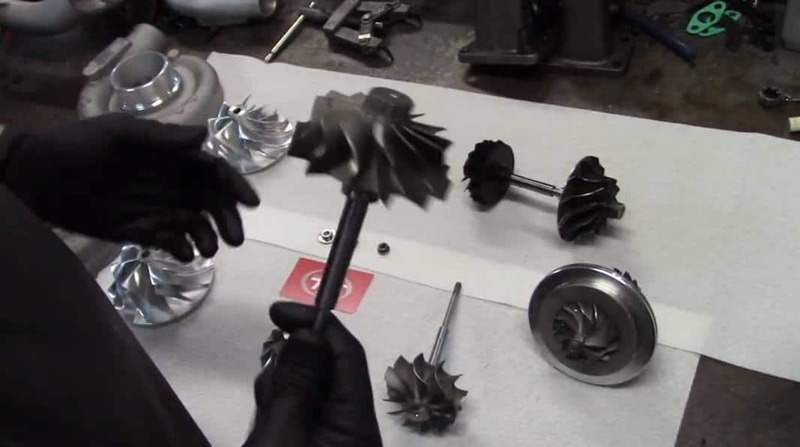 And so, on the turbine wheel, compression wheel, lock nuts, and thrust components – those are all rotating components. 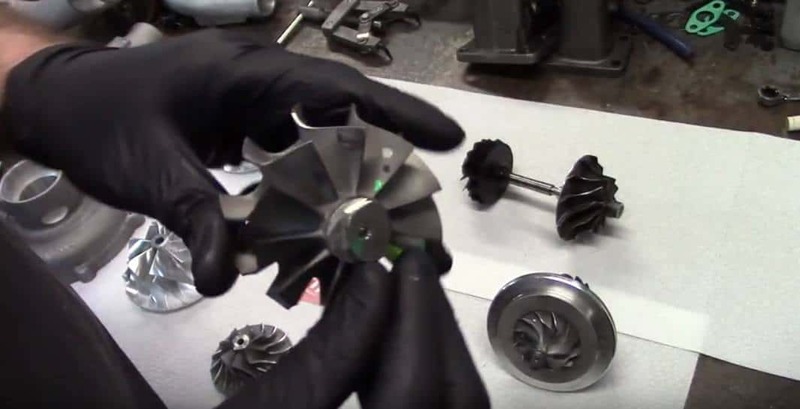 The small parts are not balanced because they have such a small mass on them, but anything that’s going to be the blades or compression wheel – those are all balanced parts. Now we’re going to show you some different stuff. This is a Garrett wheel. 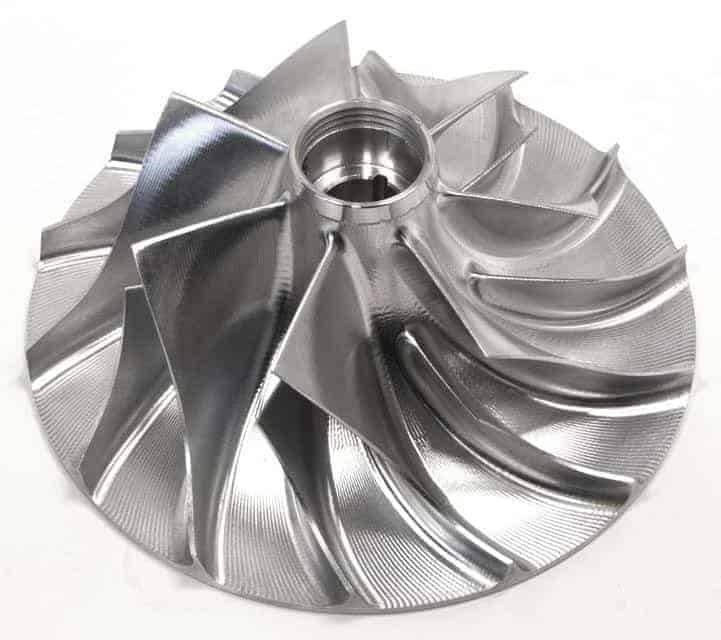 It’s a turbine wheel. 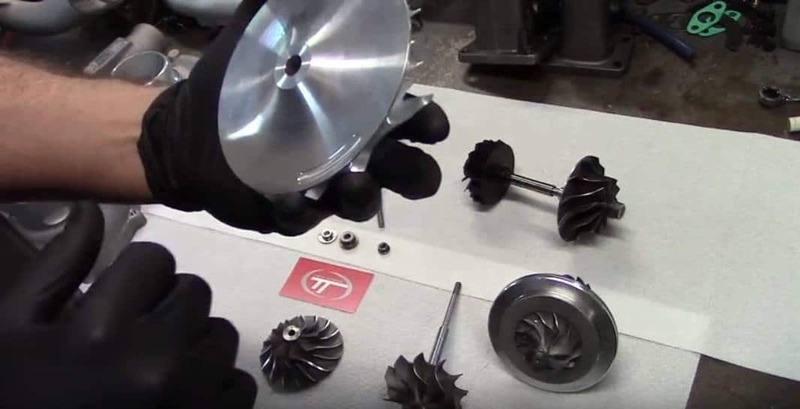 If you look at the turbine head, you can see the grinding marks right there and if you flip it around on the bottom side, you can see the grinding marks in there too. This has been balanced on a dual-plane balancer, which means this side and this side were separated and you can see it from the different filters on the balancing machine. Compression wheels can have very similar marks on them. It’s going to have it kind of near the inducer of the wheel and on the backside of the exducer. If you don’t have a certain type of component balancer, some of them use a single-plane and they’re not going to have any marks on the compressor side inlet, it’s usually just going to have a single mark going on the back side. That is basically a single mass type of balancing. Now, a VSR balancer is going to be balanced inside the cartridge assembly, supplied with oil and air pressure. 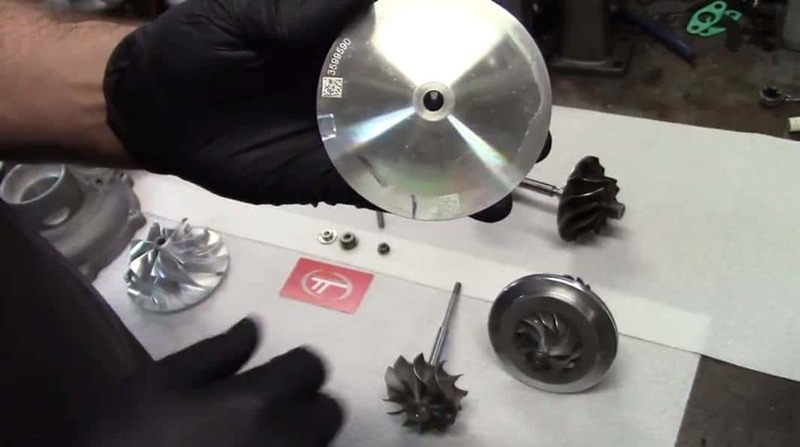 There are different types of markings you will see, but for the most popular one you’re going to see that after they do the correction, you’ll actually see the balance corrections right on the compressor nut, sometimes back on the turbine head as well. Every shop does it a little differently and so does the manufacturer. 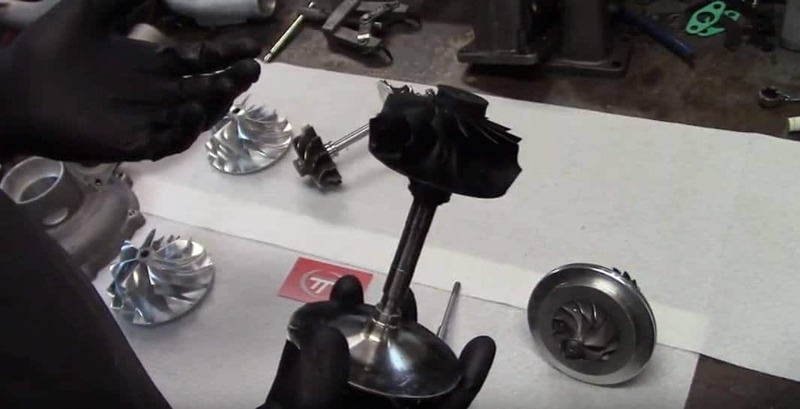 The BorgWarner stuff and the Holset stuff usually won’t have marks on those because they have a different type of machine that keeps rotating the components until they lock on to the right position. 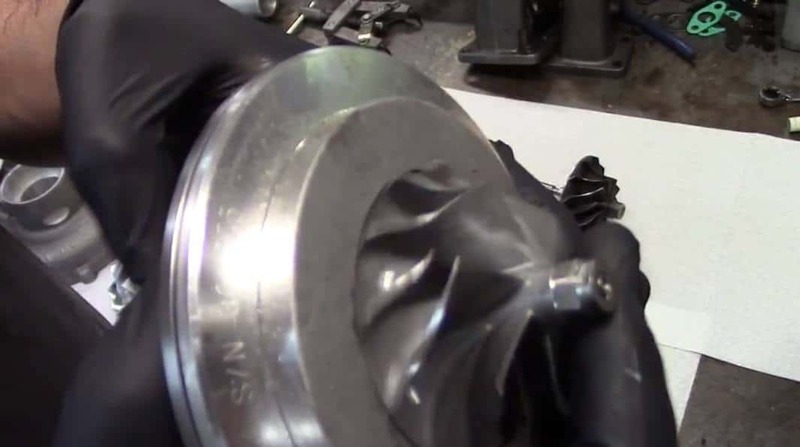 Most of the time if I build a turbocharger on my dual-plane, after the final assembly it can be perfectly balanced and you put it on the VSR machine and it spikes the needle, then rotate the needle 180 degrees and it’s dead-on. 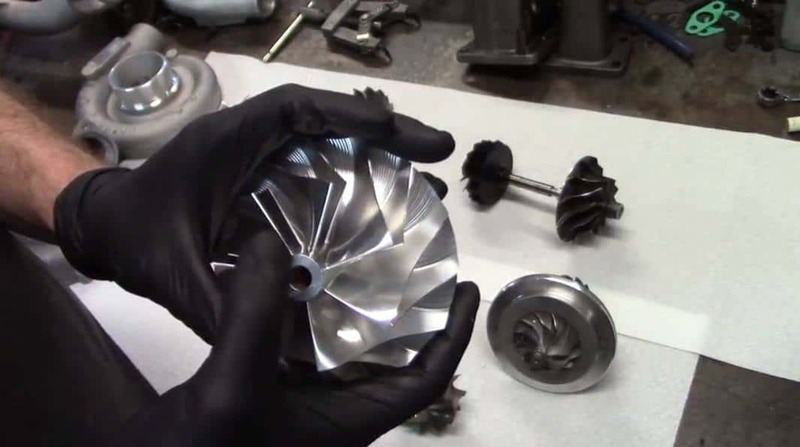 Now, if you want to send in your turbocharger for the basic balancing and it’s clean like this, we’re going to need thrust components, compressor wheel, and the locknut. For the dual balancing of that sort, I’ll balance both sides of these, both sides there, assemble it, torque it, make sure it’s straight, and then we balance the two interplanes here. 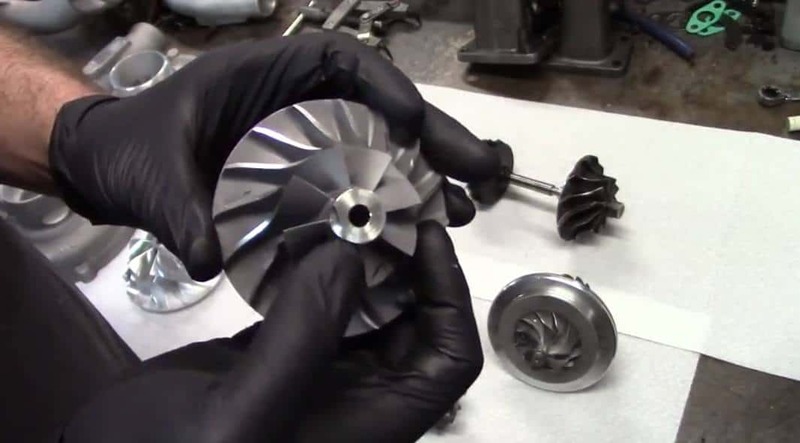 I’ll send it back to you marked, so that when you disassemble it, put it back in your cartridge, and re-align the marks as best as you can, you should have a pretty well-balanced turbocharger. Now, if you send it in like this, I’m going to have to reclaim the heads, polish the shafts, make sure all of the surfaces are faced off. I figure it’s going to be more of an expensive balancing job on that end. If you send it in like this, we’re not going to put it on our VSR machine until we tear it down, check all the balance specs out and the shaft straightness, and then we’re going to put it on our balancing machine and the VSR and test it out at that point. So all three of those setups are all different prices – figure about $65 and up, this one can be $100-150 and up, and this one can be anywhere from $150-250 and up because we’re basically rebalancing and rebuilding the whole cartridge. So, that’s just a quick look into all of the different ways to balance. If you have any other questions, give us a call at the shop and you can always email us too.